The “Drink Here Now” crew is back this week to get your weekend started on the right foot with a serious craft beer bar in Brooklyn with one of the most laid back vibes imaginable. 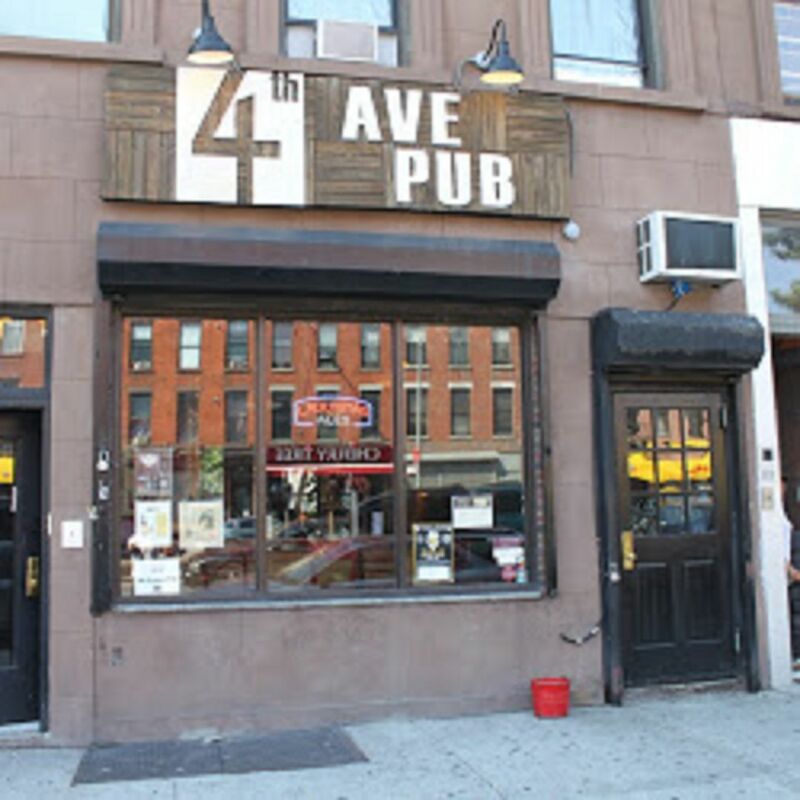 Sure, we have taken you through the boroughs to joints that pour this small batch nectar but perhaps none captures the essence of a relaxing watering hole for grabbing good beer in a somewhat divey space than the 4th Avenue Pub. The crew and I are no strangers to this bar that borders the upscale Park Slope and up and coming neighborhood of Gowanus. 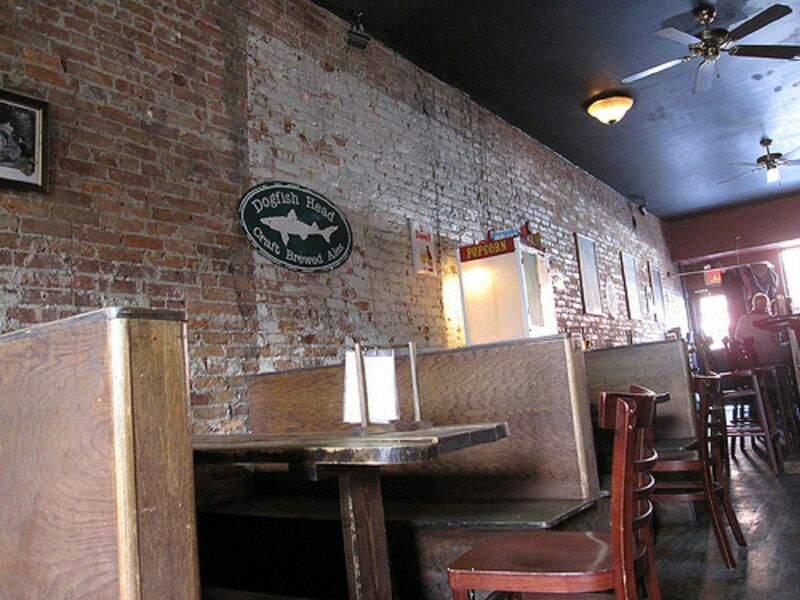 4th Avenue Pub is known for its vast selection of quality craft beers, some of which we had never heard of previously. It also doesn’t hurt that they offer free popcorn to patrons with plenty of Old Bay spice to boot! On a recent spring afternoon we made our way inside from the bustling street that now borders the Barclays Center, firmly putting this bar on the pre-game circuit. After grabbing a few baskets of popcorn, we sat at the bar filled with other daytime drinkers (this is our kind of place). The bar is known for their selection of ever rotating brews and therefore, it was important for us to consult the bartender before blindly making selections for what we would imbibe. With the near summer heat blazing through the door, the bartender recommended we gulp glasses of “Blue Point White IPA,” “Smuttynose Summer Weizen Ale,” and “Ommegang Belgian Pale Ale.” Each ran us roughly $6. After taking our first sip, we had to hand it to him- these beers were summer in a glass! Once we had a few more it was easy to kick back and take in the scenery. Patrons may not realize this upon first viewing but 4th Avenue Pub has a terrific outdoor seating area that exists just down a flight of stairs. So when the weather is agreeable you should grab your pints and friends to head outside for a ton more daytime fun. On this day it happened to be slightly rainy so we were more than happy to stay inside and people watch out of the bar’s huge window onto the ever exciting show that is downtown Brooklyn. The bar is known to host several events and tastings by some of the best craft brewers going today. These one off events are a perfect way to expose one’s self to some killer suds before most of the public gets wind of it. A few years ago we found out about New Jersey’s own Carton Brewing Company here and haven’t stopped drinking it since. So what are you waiting for? Grab a stool, kick back and consult your bartender! Bar Type – Craft beer centric bar with a rare divey feel to it. During the warmer months patrons can enjoy their outside drinking patio. When to Visit – We think anytime is fine for visiting the pub. But do yourself a favor and try to attend one of their amazing events and tastings. Value – It’s all about quality here. So expect to pay a dollar or two more when ordering your beer of choice. The Lowdown – It’s rare to find a popular craft beer bar be this laid back on all fronts. 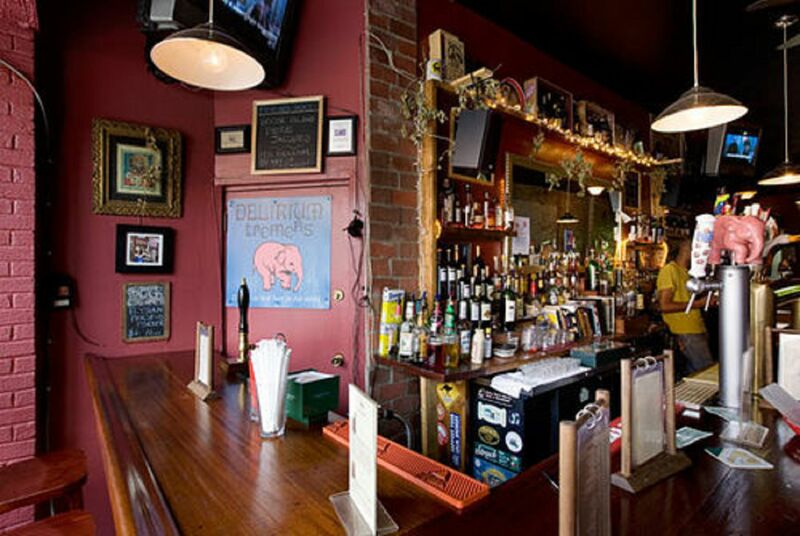 Sure, there are plenty of joints with similar style citywide but 4th Avenue Pub truly makes you feel at home.